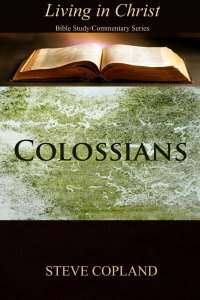 A Study Series on Colossians for individuals, home groups, and pastors. The Apostle Paul’s letter to the Colossians contains some of the most profound statements ever written about the Lord Jesus Christ and the status of believers. The heresy of Gnosticism had taken root and was spreading throughout the fledgling Gentile churches, a heresy which spearheaded Satan’s attack on the gospel message for over a hundred years. Gnosticism challenged the fundamental doctrines of the Divinity and humanity of Christ, split the Church into levels of spirituality, promoted ecstatic experiences and the worship of angels, immorality, asceticism and the keeping of human rules and traditions. This series of twenty studies explores and applies Paul’s inspired answers to all of these topics, challenges the resurgent Gnostic heresies which have resurrected in the past thirty years, and encourages Christians to know their true status in Christ.